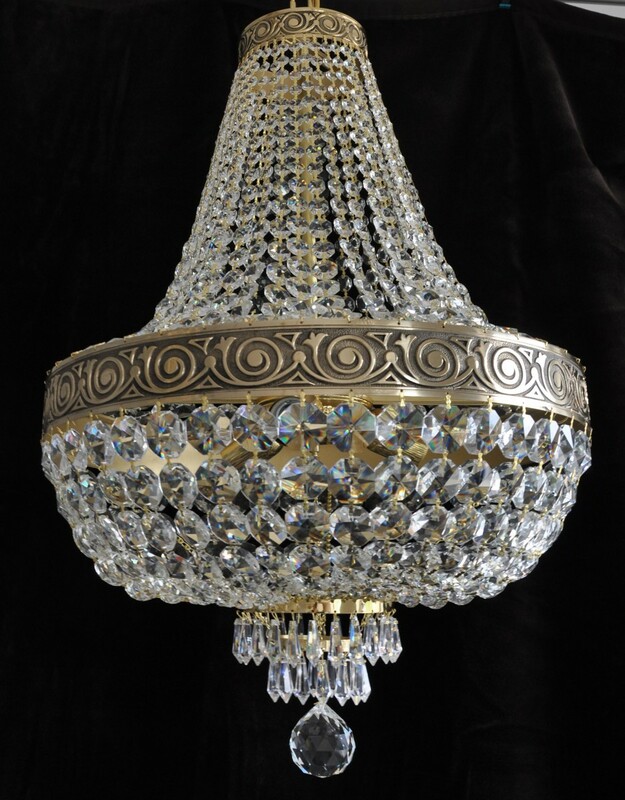 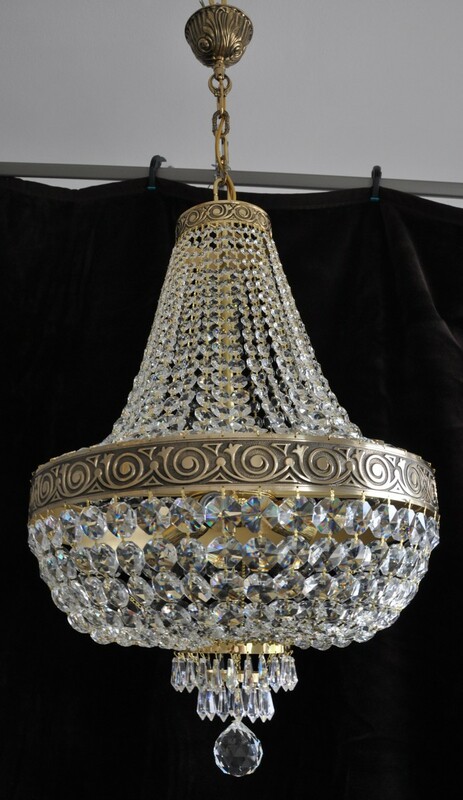 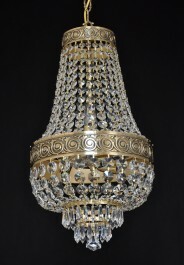 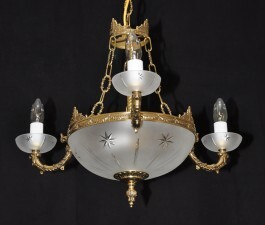 Basket crystal chandelier made of quality cast brass strip. 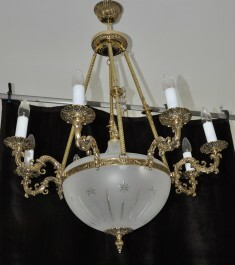 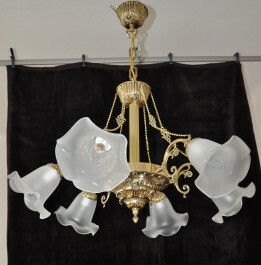 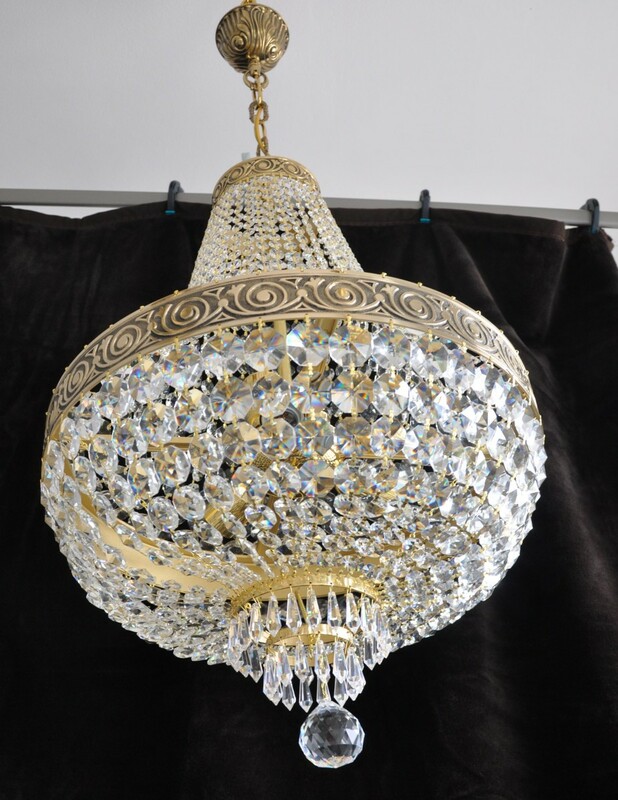 The chandelier comes with 0.5 m brass decorative chain and ceiling rose. 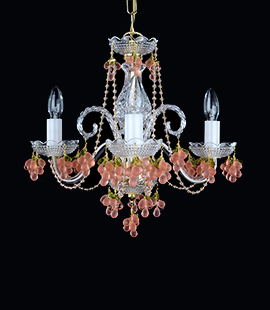 * Size of the chandelier and number of bulbs can be easily adjusted.